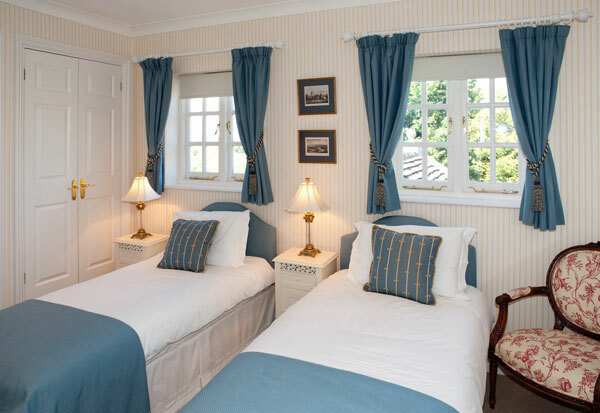 Our individually designed bedrooms and cottages are the perfect place to relax and unwind. All our rooms have flatscreen televisions with Freeview and wireless internet access. Complimentary toiletries, a hospitality tray, tea- and coffee-making facilities, a hair dryer and a luggage stand come as standard. Room 1 looks out across our gardens, meadowlands and fields to the Solent and then to the white cliffs of Bembridge on the Isle of Wight. 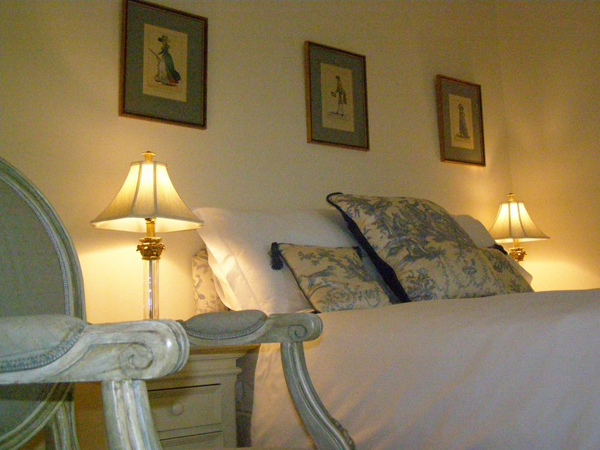 The room is spacious and beautifully furnished, with a king-sized sleigh bed and lounging area with sofa. The luxurious marbled bathroom has an extra-large bath and a large separate shower room. Room 2 has lovely views. It can be set up with either a king bed or twin beds to suit your needs. Opposite has its own large private bathroom with bath and separate shower cubicle. 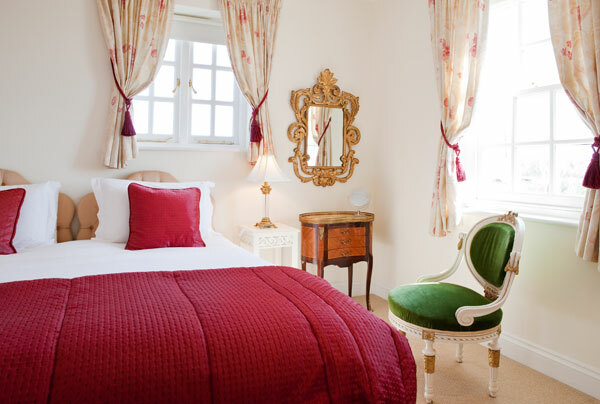 This room is furnished in French Regency style and enjoys views over our lovely gardens. It has a king size bed and en suite shower. Room 4 is a lovely room with views. 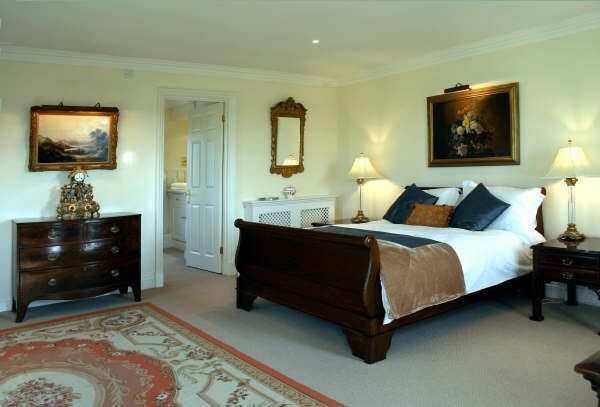 Choice of king bed or twin beds and a large en suite shower. Two pretty country Georgian style semi detached cottages. 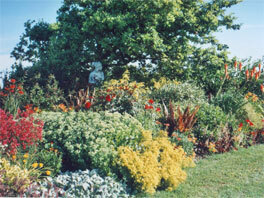 The single storey cottages are 20 yards from the main house and are furnished to the same high standard as the house. Each has a sitting room with a sofa bed and fully fitted kitchen, a separate bedroom with super king or twin beds, a large en suite shower room, private garden and parking. 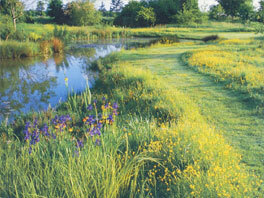 The cottages are serviced daily. Breakfast is taken in the garden room of the main house. Minimum stay 2 nights. Well behaved dogs allowed. Please enquire for availability. 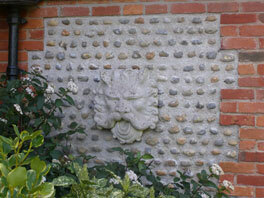 Breakfast at Landseer House is served in the garden room of the main house. 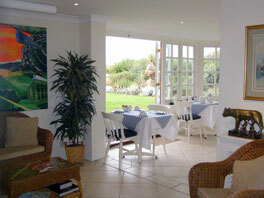 This room looks out over our lovely gardens, so you can admire the countryside scenery while eating your breakfast. We serve cooked breakfasts whose ingredients, where possible, are locally sourced. Continental breakfast is available by request.